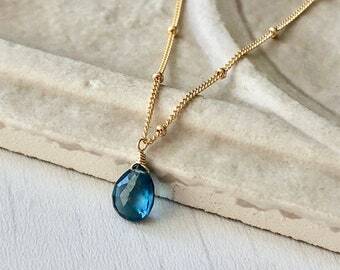 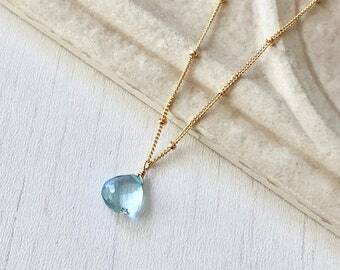 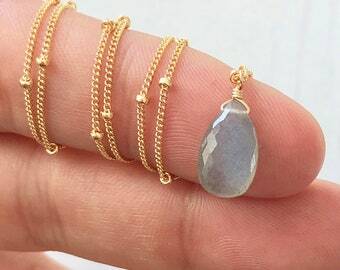 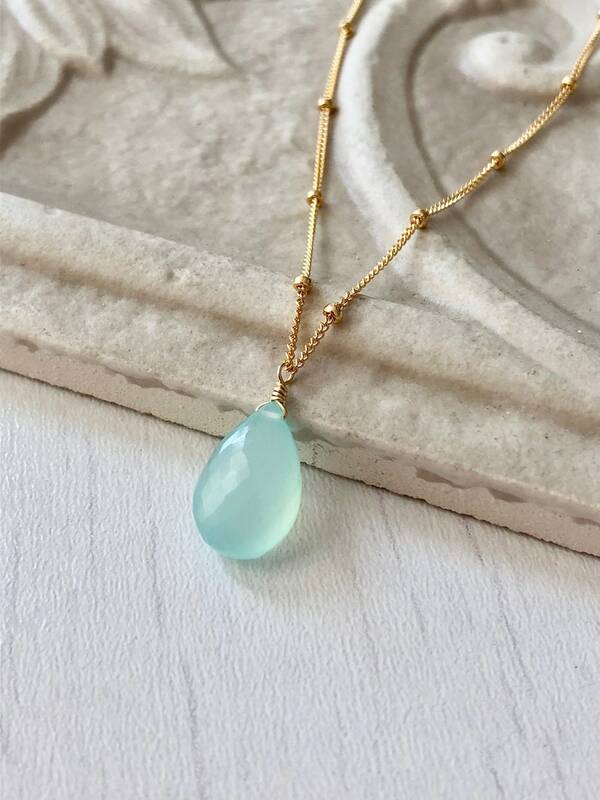 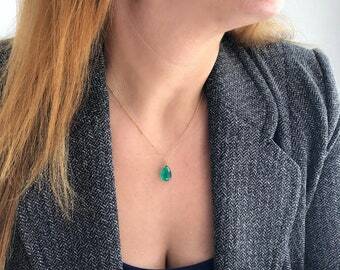 This handmade Chalcedony necklace features a genuine aqua chalcedony micro faceted teardrop suspended from a delicate 14k Gold Filled or Sterling Silver satellite chain. 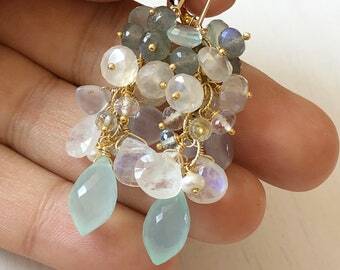 Aqua Chalcedony is exactly the color of sea glass, but it is 100% a mineral gemstone. 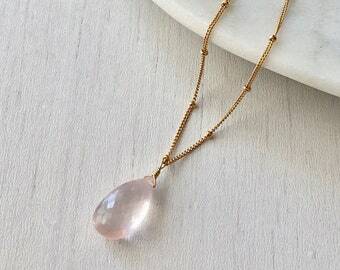 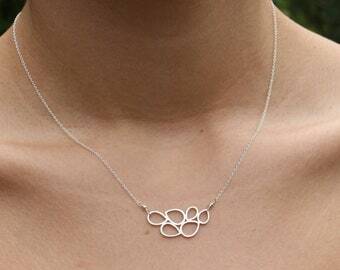 This necklace is simply perfect for everyday wear and is ideal for layering with other pieces in your collection. 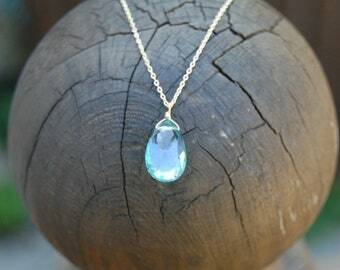 A popular choice for bridesmaids necklaces, we make this design in many different gemstones. 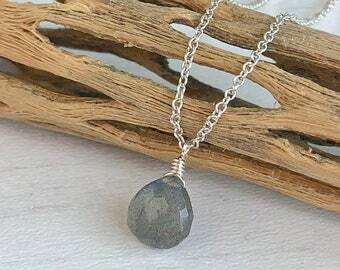 Please look at our other listings or ask us for a stone you are looking for.